We know, saddest sight ever. But we're here to tell you that the depleted jar pictured above is actually a blessing. That sad, empty Nutella staring you down is in fact the perfect bowl for building a sundae. Can we get an AMEN? We saw this idea floating around online and we had to try it for ourselves. From one Nutella addict to another, you should know that this is truly a transcendental experience to be tried at least once -- if not every single time a jar bites the dust. Get your favorite ice cream, whipped cream, and fixings. Scoop ice cream into the emptied jar. Be warned, it is bigger than it looks. We were able to fit four hefty scoops into a 13-ounce jar. Top with fixings like chopped hazelnuts, sprinkles or even more Nutella. 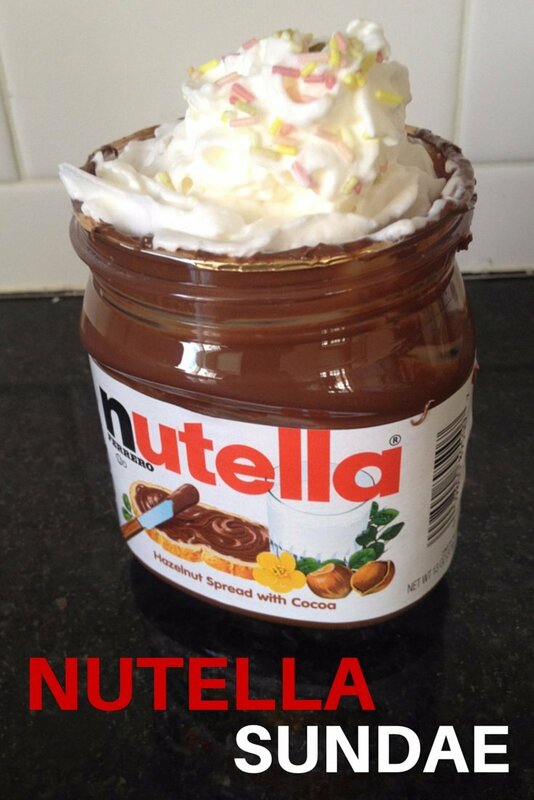 Give it a generous garnish with whipped cream. 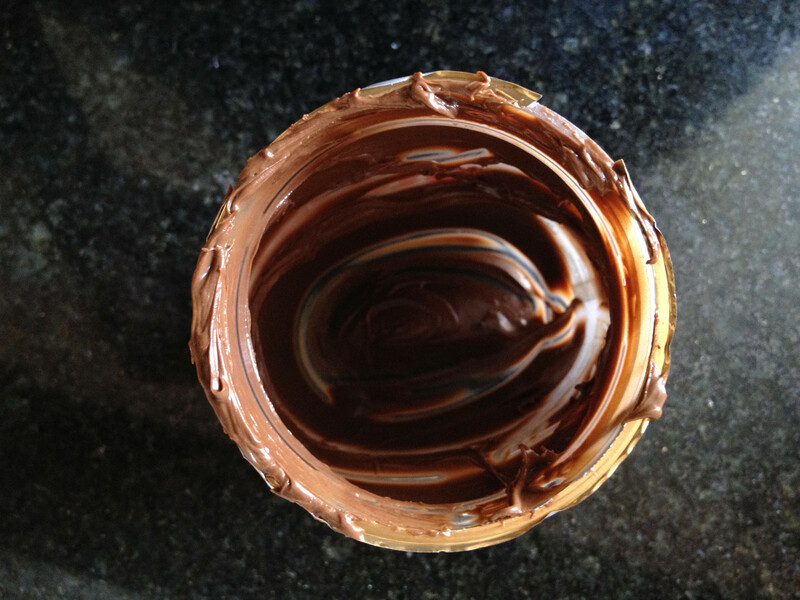 As you eat the sundae, the spoon scrapes away the last bits of Nutella wedged into the curves of the jar and it. Is. Glorious.